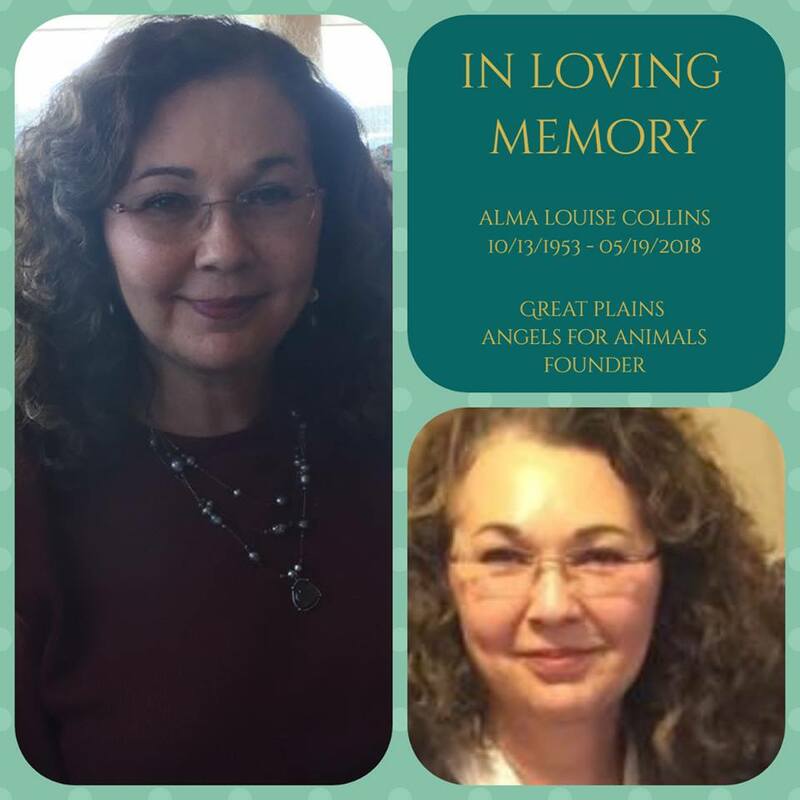 Louise Collins was the founder of Great Plains Angels For Animals. She will be greatly missed by all. Louise Collins, 64, died Saturday, May 19, 2018 in Phoenix from ALS. She was born Oct. 13, 1953, to William Calvin Courtney and Roletha (Pat) Courtney. She had a long career as a registered nurse, working at Good Samaritan Center, Southwest Medical Center and Veterans Administration in Liberal. She continued her work with the Veterans Administration in Prescott Valley, Ariz.
She is survived by one brother, two sisters and spouses: Lavern Lee and Janice Courtney, Fredricksburg, Texas, Sharon Moeller, Albuquerque, N.M., and Nina and Bob Barry, Phoenix; sister-in-law, Esther Courtney, Hays; and nieces and nephews, Michael Correll, Bill Correll, Terry Braun, Jeff Courtney, Annie Diaz and Sara Roughton. She was preceded in death by her parents and one brother, Ray Courtney.